Home Community News More Mining! Fixed using Recharge(ctrl+r) in Fight Caves/Inferno. Fixed a bug with mob drops. Fixed a bug with the Account Creation sometimes kicking in when you reconnect as a new account. Fixed a bug with ;;afk not properly freezing your character. Fixed a bug with being able to rest while afking. Fixed item crafting while resting. Fixed a couple dialogues where they had click to continue, but the space bar didn’t work. Fixed a bug with Vorki and the Racoon pets. Fixed a bug with the chat box background drawing twice. Fixed the drops option for Demonic Gorillas and a few other monsters. Fixed a bug with the Crystal Chest sometimes giving the item amount of 0. Friends on your Friends List will now show up on your Clanchat as a friend. Fixed a couple bugs with Clanchat. Fixed a bug with the Cat NPC. Fixed a bug with the Cooking Tutor. Fixed a bug with the account lock system. Fixed a couple bugs with the 317 game frame map in Re-sizable mode. Fixed the stat requirements for the Sanguinesti staff. 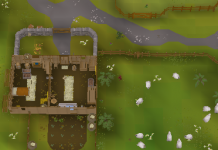 Fixed using a Glory in Wilderness levels 21-30. Fixed a bug with the global ground items. Fixed a bug with the last opened interface being the PVP tab. Added a couple new sentences to Jeeves. Made it so you can scroll the Avatar Menu with the arrow keys. Super Donators can now craft Cannonballs with an Ammo Mould and Iron Bars. You can now make Cannonballs with Steel Bars for double the amount of balls made per bar. Kruzision Spirit Shield now acts as an Anti Dragonfire Shield. An Ammo Mould will spawn inside of the Smithing area at ;;sdz. 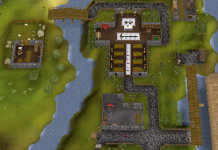 Added a Wine of Zamorak to the wilderness altar and the Mage of Zamorak temple by Falador. Added James the Drop-table viewer at ;;home. All of the Smithing, Herblore, Fletching and Crafting chatbox interfaces can now be controlled to make all with the number keys, 1-8. Added a 317 Gameframe chatbox background. Lowered the exp rate for Low and High Alch. Staff members will now show their crowns in any Clanchats. Staff members will now automatically have Founder Rights in any Clanchats. You can override staff members ranks by having them added as a friend, or by ranking them in the Clanchat itself. Staff members when they speak in the Clanchat will always have their staff crown, unless they’re the founder of the Clanchat. Adding and removing friends will now update the Clanchat ranks visually. Whenever your visual crown changes the default Clanchat ‘kon’ will now automatically update your crown. Added a way to exchange your Platinum Tokens, Blood Money, and Coins with any bank booth or bank chest. Updated the text for whenever a player opens a chest or an mbox and gets a good reward. Updated the text for whenever a global drop happens. Added a bunch of alias commands for the ;;runeessence teleport command. Added ;;lovakite and ;;lovakitemining teleport commands. Added ;;gems and ;;gemmining teleport commands. The chatbox no longer gets partially cut off with a full chat box while scrolled up to the top. Swapped the face East and West context menu options for the compass. Added 667 side-icons to the 667 game frame mode. Added a new Re-sizable game frame for the inventory area for 317 game frame mode. Changed the Costume Icon and made it make more sense when you toggle Costume Equipment. 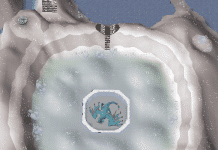 Relocated a Red Dragon in the ;;brim dungeon, so that it would stop spawning in the walls. In the Elite Donator Zone all of the ancient monsters health is now reduced by 1/4th. Cursors are now automatically enabled on a brand new settings profile. The item exchange interface for pets now works with the 1-2 number keys. The client will now automatically log you out if it encounters a Null, instead of trying to keep you logged in. Going into 317 mode will now show the orbs still.